From left to right, Daniel Atherton, Joshua Scott, Jameson Williams, Matthew Clark, Bret Huisjen, Jack Schuyler and Rhys Artzer. Senior Rhys Artzer on the course. Daniel Atherton on the course. 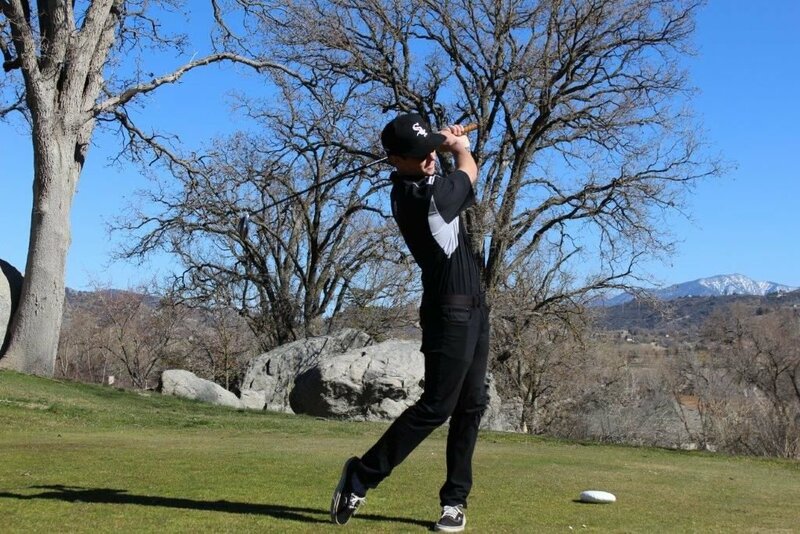 Tehachapi High School boys golf has started the 2019 season, beginning the year at the North High tournament at North Kern Golf Course. 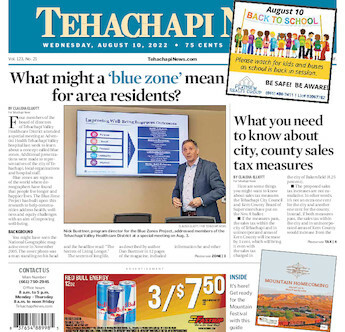 The THS team competed against eight other Bakersfield high schools and finished in third place. With all the rain, the course was a little sloppy and conditions were difficult. The Warriors were led by their No. 1 player, Rhys Artzer, who shot 98 for 18 holes. Junior Andrew Sanchez shot an even 100. Senior Joshua Scott participated in his first competitive tournament and tallied a score of 102. Junior Matthew Clark also participated in his first competitive tournament and shot a 111. Junior Bret Huisjen (113) and Daniel Atherton (117) also battled the wet and sloppy conditions at North Kern. Team score for the Warriors was 530 for the top five players. Coach Dennis Costa was expecting lower scores but realizes it’s early in season and practice times have been limited due to the cold and rainy weather. 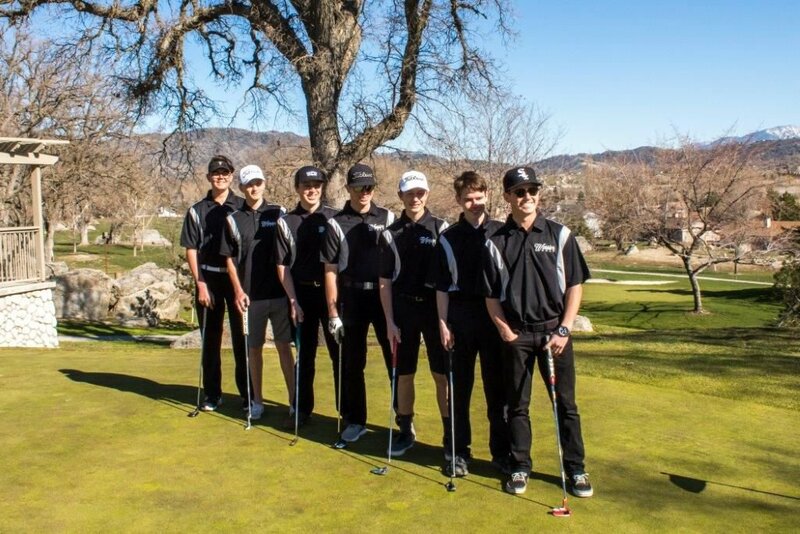 Three days later the Warriors traveled to Kern River Golf Course in Bakersfield and played much better. The course was in great condition and the weather was outstanding. Scott led the Warriors with a score of 89. Artzer had the second best score of 90 strokes. Sanchez finished 18 holes with a score of 94. And the fourth-best score was tallied by Atherton, who came on strong on the back nine and finished with a 104. Huisjen finished the day with the 106 and Clark shot his best score with a 109. The Warrior team score was 483, which was an improvement over 50 strokes. To see such a big improvement in team score is very exciting. To qualify for CIF play, the Warriors must shoot a team score below 475.